Clear Raspberry Pi case for Model B+, Raspberry Pi 2 Model B and Raspberry Pi 3 Model B. This case features an easy snap fit design with cut outs for all hardware features. 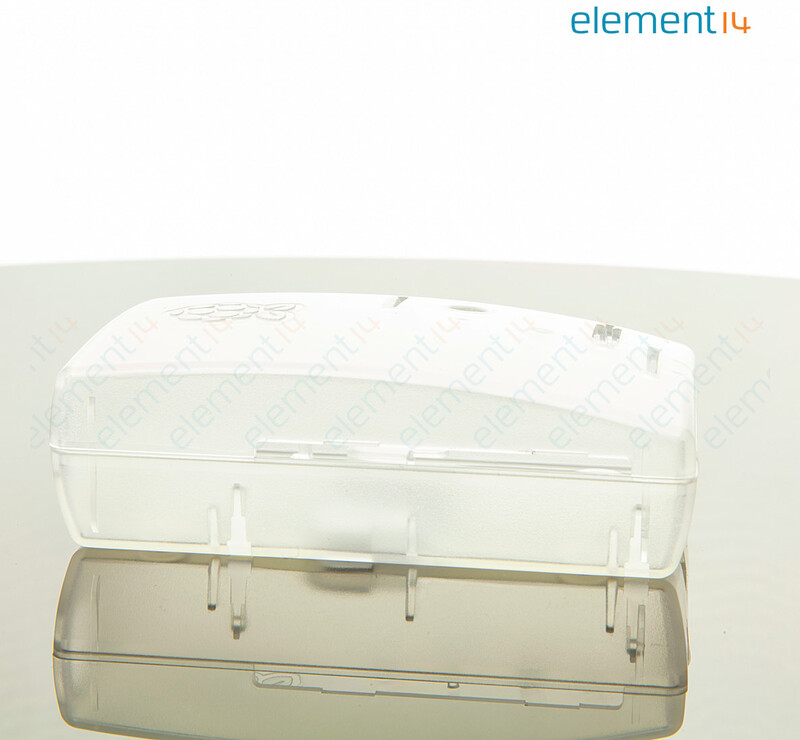 This case can be mounted on to any surface using the two screw slots on the under side, the case is also vented underneath to prevent over heating. This case supports the Raspberry Pi camera by mounting inside the top with two screws and cut out for pin hole camera. The top of the case features three cutouts for feeding ribbon cables out of the case for the Raspberry Pi camera and touch screen display.